Were they once used at Canterbury Cathedral? Among the weird and wonderful items in the growing village archive are a collection of nine bell ropes. 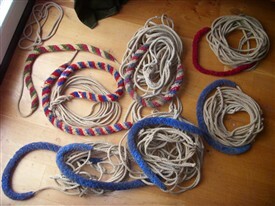 These ropes were bought in 2008 from local bell-ringer Chris Cooper. Chris had been instrumental around 1997 in restoring the bell mechanisms in the church tower at Hothfield. The bells hadn’t been used for many years (since 1982) and needed servicing, and the ropes needed to be replaced. The rotting ropes that Chris removed at that time had many repairs and joins where they had clearly broken over previous years. Chris was fairly confident that these ropes were already well-used before they came to Hothfield in the first place. 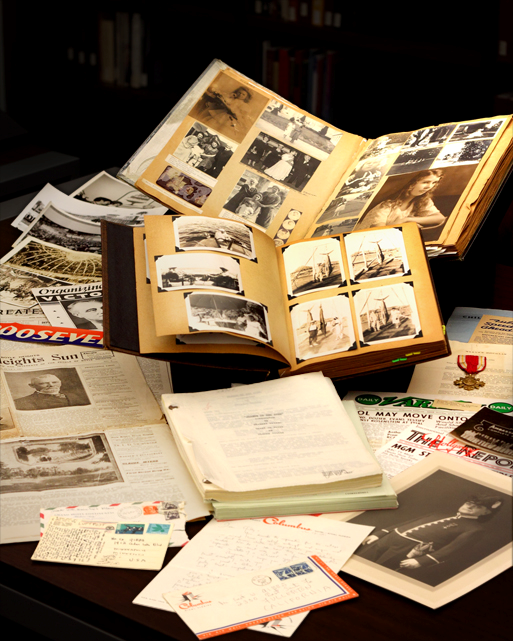 Chris believes that some of them had been in use in Canterbury Cathedral and some date from the 1960s. When the ropes were too worn for the cathedral then they came here to Hothfield, and eventually were too poor for use. Chris advertised the ropes on a well-known internet auction site and were bought by Chris Rogers to return them to Hothfield. There's a mix of different coloured ropes, some striped and most plain red or blue. Hothfield Church has six bells including the Tenor which weighs 8cwt and is just over 35 inches across and was founded in 1927 along with the treble. 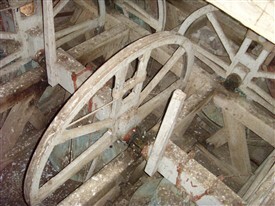 Bells II to V were cast in 1762 by Lester and Pack. This page was added by Chris Rogers on 21/10/2015.